As you know, with me, there’s always a voiceover story. Even at a Little League baseball game. 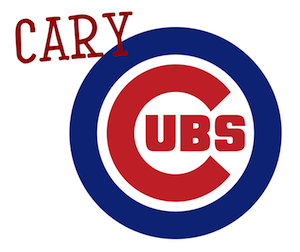 It was last weekend at one of my children’s games…but this was more than a regular game. This was part of a kind of baseball festival at this really nice baseball facility in Cary, NC. I am not a coach of my son’s team but just one of many Dad helpers there to support the Manager (mostly during practices). This day, the Assistant Coach asked if I would take the team lineup to the facility’s pressroom because as a special part of this big baseball event, the players are introduced over the PA for each game. For the young players, this is a really special treat that does not happen at regular games. As instructed, I went up to the press room which is on the second floor of this kind of hub structure at this multi-field park that looks a bit like an airport control tower – from the 2nd floor deck you can see all the surrounding fields. I walked in and handed a person our lineup sheet, told them which team it was for and the field we would be playing on so they could do the introductions. “No, no,” the person said. “You have to come up just before the game starts so you can do the announcing. We have someone from each team do the intros,” the person said. I took a second to make sure I understood what they just said, as it was a surprise to me. “Someone from our team does the actual team intros on the PA?” I asked? He confirmed I had heard correctly. I thought the town would just have an employee do it or hire a radio guy for the weekend. Nope. A parent. As there were four parents including me helping out on my son’s team and three of them (not me) had jobs on the field during the game, I knew how this story was likely going to end. They thought that was a swell idea. So back up I went to the airport control tower/baseball complex HQ to await my instructions from the Town of Cary employees (all very nice folks). Things happened pretty quickly once I got back inside. The audio setup was very, um, practical. The speakers outside were pretty good. 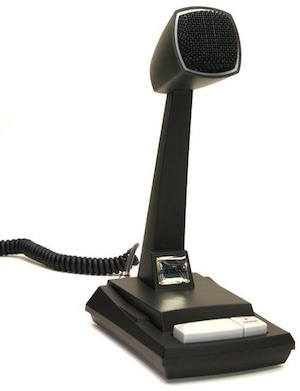 The microphone, inside the fairly large, mostly glass walled room, was a very low end desk mic with a push-to-talk switch….kinda like I used to have on my CB radios in the 70’s. My son’s team was the home team, so the parent from the away team did the intro’s for the away team first. I was instructed that, because I went last, my job after I read the coach’s name on our roster, I was to say “Play Ball”. It was very hard to hear anything going on outside which led me to believe this must have been much more than single-paned glass I was surrounded by. I knew I was going to be louder than the previous parent (or probably most parents announcing during the event). I knew I’d have to back off the mic a bit so I would not sound distorted. Make it exciting, I thought. Make it memorable, I told myself. Make it sportstacular! On second thought, I may have been just solely focused on name pronunciations. In any case, at the last minute I had the good sense to grab my phone to record it. The camera work wasn’t pretty (nor was/is the subject) but the announce went just fine and the kids (and coaches) were thrilled. Ermahgerd!!!!!!!!!!!! That was Errrrrrr sommmmmmmme! I can (and have) stand behind a mic on a stage in front of thousands…. no big deal. But once there are people I know in the crowd, I get all creepy weirded out about the whole thing. Similarly, I had an old friend contact me last week about voicing an explainer video for her client. I think I found that more stressful than voicing one for a Fortune 500 company! The VO booth stress gets lesser over time. Keep at it. The kids were pretty excited about the whole thing, especially my #3.